In Alaska, wolves are among the most desired species for viewing, and 40% of visitors to Alaska reported hoping to view wild wolves during their visit. Denali National Park is recognized as one of the best places in the world for people to see wolves in the wild and, more than anywhere else in Alaska, wolves in the eastern region of Denali National Park provide significant wolf viewing opportunities as visitors travel along the Park Road. From 2000 to 2010, the Alaska Board of Game approved the closure of certain areas outside of but adjacent to the eastern region of Denali National Park (the buffer zone) to wolf hunting and trapping year round in order to protect wolf viewing opportunities in the park. In 2010, the Board of Game eliminated the buffer zone and voted to prevent reconsideration of a buffer zone for at least six years. In 2017, the National Park Service submitted a proposal to the Board of Game to reinstate a buffer zone, but the Board of Game denied the request. There is no habitat buffer zone in place today. The results of 5-year a study conducted by the National Park Service and the Alaska Department of Fish and Game (Borg 2015) showed that not only were there increased sightings of wolves from 2000-2010 in Denali National Park than compared to the years just before or just after the buffer zone existed, but that the average harvest of wolves in areas adjacent to Denali National Park also increased when the buffer zone existed. Thus, when it existed, the buffer zone increased opportunities for both consumptive users (hunters) and non-consumptive users (wildlife viewers). Since the elimination of the buffer zone in 2010, wolf viewing inside Denali National Park has dropped precipitously, from 44% of visitors to the Park reporting wolf sightings in 2010, down to only 4% in 2013 (National Park Service survey of bus tour participants). The wolf population in the Park declined from an estimated 143 wolves in 2007 to just 75 in 2018, almost a 50% decrease. Also, one established pack, known as the “Comb Pack” was not seen after March 2018 (click here to see the Denali National Park and Preserve Spring 2018 wolf population estimate map). The Comb Pack’s home range overlapped the area the National Park Service proposed as a buffer zone in 2017. Wolves were once a must-see for visitors to Denali National Park; now they are a virtually-never-see thanks to wolf hunting and trapping being allowed on lands directly adjacent to the Park. Unfortunately, the wolves don’t understand these lines drawn on a map, and are being killed just outside the sanctuary of Denali National Park by sport hunters and trappers. AWA continues to tirelessly fight to re-establish a protective habitat buffer zone along key areas of the Park, for the benefit of all wildlife users, today and into the future. The buffer request was denied, but AWA has never stopped pursuing the reinstatement of the buffer zone. In March, 2018 AWA submitted a letter to the Senate Resources Committee urging members to vote IN FAVOR OF CSHB 105, which would establish a no-hunting buffer zone adjacent to Denali National Park. In recognition of the exceptional economic value of wolf viewing in Denali, from 2000-­2010 the state had closed lands adjacent to the park’s eastern boundary to the taking of wolves to protect wolf-­viewing opportunities in the park. Together, the Stampede Closed Area and the Nenana Canyon Closed Area covered approximately 122 square miles of important wolf habitat. The closed areas had negligible effect on the few wolf trappers and hunters who had operated in the area, as adjacent areas remained open to their activities. But it was clear that even the former state buffer did not adequately protect Denali National Park wolves. Analysis of data from NPS radio collars showed that two of three most commonly viewed wolf packs in the park travel into areas east of the buffer, where they remained vulnerable to trapping and hunting. State records indicated that, even with the buffer in place, there was an upward trend in the numbers of park wolves taken, and in some years, a significant percentage of the total park wolf population was taken east of the park. And as the science has established, it’s not just about numbers of wolves taken. The loss of family group integrity and unique behaviors due to take east of Denali has been dramatic. At its spring 2010 meeting, the Alaska Board of Game eliminated the former Denali buffer altogether. 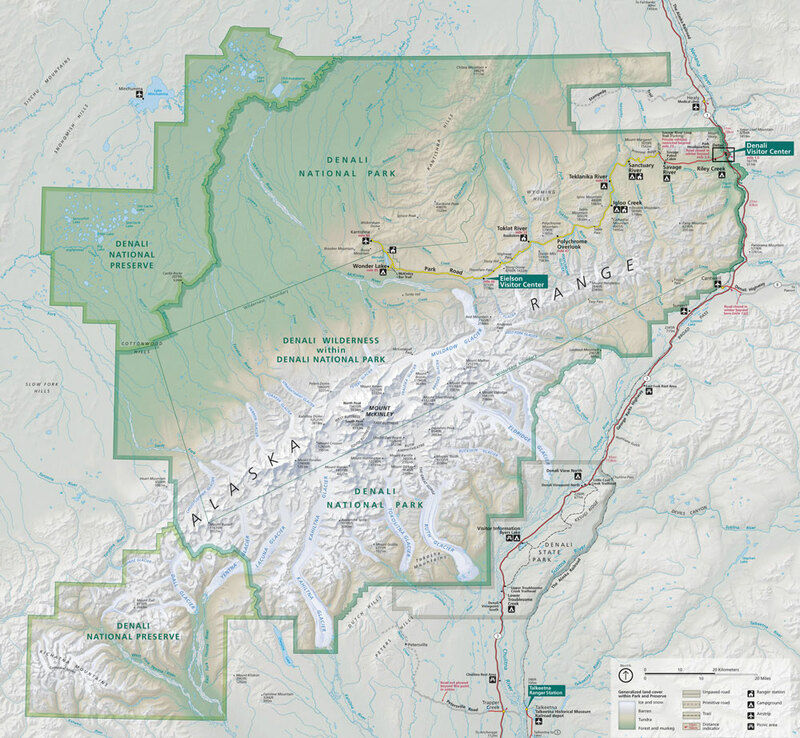 Despite several public proposals to the Board to expand the existing buffer (as it was clearly insufficient to provide adequate protection to park wolves), including a proposal from Denali National Park itself, as well as overwhelming public support for retaining and expanding the buffer, the Board not only denied all buffer expansion proposals, but voted to eliminate the existing buffer altogether. At the same time, the Board established a moratorium on future consideration of Denali buffer proposals from the public for at least 6 years. Subsequently, several civil society interests in Alaska (including some signatories to this letter) proposed that the Board of Game and/or the Alaska Department of Fish 3 and Game reestablish a Denali buffer, but all such requests were declined. At the time, citizen petitioners predicted that the continued exposure of Denali wolves to take across the eastern boundary would result in a further drop in the park wolf population and visitor viewing success -­‐ precisely what we now know has occurred. It is apparent, and unfortunate, that current wildlife management authorities in the State of Alaska do not consider sustainability of wildlife viewing at Denali a management goal. But as we have learned, even if one state administration were to establish a buffer, a subsequent administration may remove such. Thus we feel there is clear need for a permanent buffer to sustain and grow the Denali wildlife viewing economy. Today, the wolf population across the 6 million acre park and preserve has declined from 143 wolves in fall 2007 to just 55 in spring 2013 – a drop of more than half in six years. And, just since the state removed the buffer in 2010, wolf-­‐viewing success for the park’s 400,000 annual visitors has dropped precipitously from 44% in 2010 to just 4% in 2013. This is truly alarming, and again, as far as we are aware, unprecedented in the history of the national park system. Land Exchange. Ask the State of Alaska and U.S. Department of Interior to work together to create a permanent protective buffer for Denali’s wolves on state lands along the northeastern borders of DenaliNational Park. Ask for this “win-win” solution: that the State of Alaska transfer a permanent no-take wildlife buffer conservation easement east of the national park to the federal government, in exchange for the federal government transferring a like-valued easement, federal surplus property, or purchase value, to the State of Alaska. A no-take buffer northeast of the park is the only way to rebuild and then sustain Denali’s wolf populations. Close All Park Lands to Wolf Hunting and Trapping. Contact Denali National Park Superintendent Don Striker (cc Dan Smith and Bert Frost, above) requesting that he issue emergency regulations closing wolf hunting and trapping on Denali National Park & Preserve lands. Wolf killing is still allowed in the 1980 park addition and the preserve lands. Make Allocation of Federal Funds Conditional on Cooperation by the State. Ask Secretary of Interior Ryan Zinke (copy Dan Smith and Bert Frost) to condition the annual transfer of federal funds to state wildlife agencies – through the Pittman-Robertson Federal Aid in Wildlife Restoration Act – upon the states cooperatively managing wildlife around federally protected areas, such as national parks and wildlife refuges. Alaska received $48 million from the Dept. of Interior in 2013, most of it going to the ADF&G Game Division which conducts “intensive management” (predator control) adjacent to national parks and refuges, at cross purposes to federal goals of wildlife conservation and restoration. 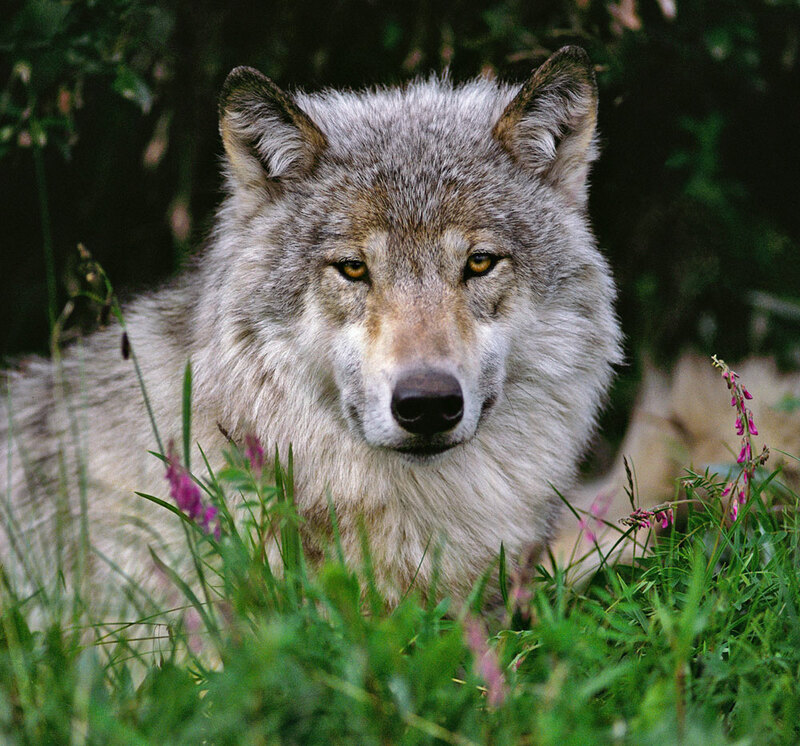 Thank you for speaking up for Denali’s wolves!